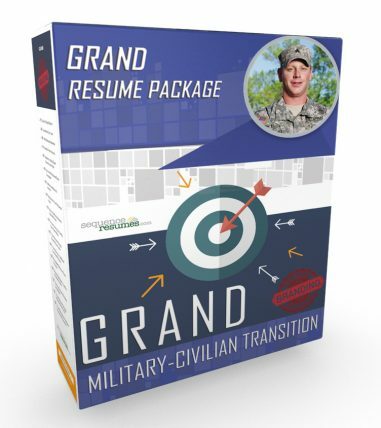 Transitioning from military service to the civilian sector requires a special effort; it automatically makes your needs different from the typical civilian individual seeking employment. That in mind, you not only need a resume but a personal brand marketing package that will enable you to convey your experience, knowledge, skills and talents, plus achievements, but also showcase the qualities an organization wants from its professionals, such as your leadership skills and abilities, decisiveness, resourcefulness, and other key attributes and characteristics. The military develops some of our country’s finest employees. Your training, hands-on experience, abilities, and discipline place you in the upper rankings for employers looking for new, especially skilled employees. As with any transition though, communicating to a civilian employer about your developed background and experience can be a challenge. The usual military resume format, language and titles can be confusing for an employer who is used to more traditional, civilian corporate resumes. This is why Sequence can set you apart. We have the experience and know-how to translate your military experience into easily understood civilian terms. We convey your abilities and capabilities in terms that civilians are seeking. To find the kind of career opportunities you deserve, your resume needs to illuminate your experience in a way that allows employers to relate to your skills within their industry sector. We will work closely with you all along the way to ensure that the resume package we produce for you meets your objective and is satisfaction guaranteed. Our popular Grand Package includes a customized Resume, Cover Letter and our VITAE I-Inventory Package. The key essential tools necessary to advance your career. Plus there’s more. We are pleased to offer you the opportunity to meet with one of our leading recruiters for a professional consultation to enhance your career planning. We will also keep your resume and letters on file so you may return back to us anytime within the next two years and receive the discount for refreshing your resume and cover letter to suit another job opportunity. The Grand Package offering is available to you for just $424.95.